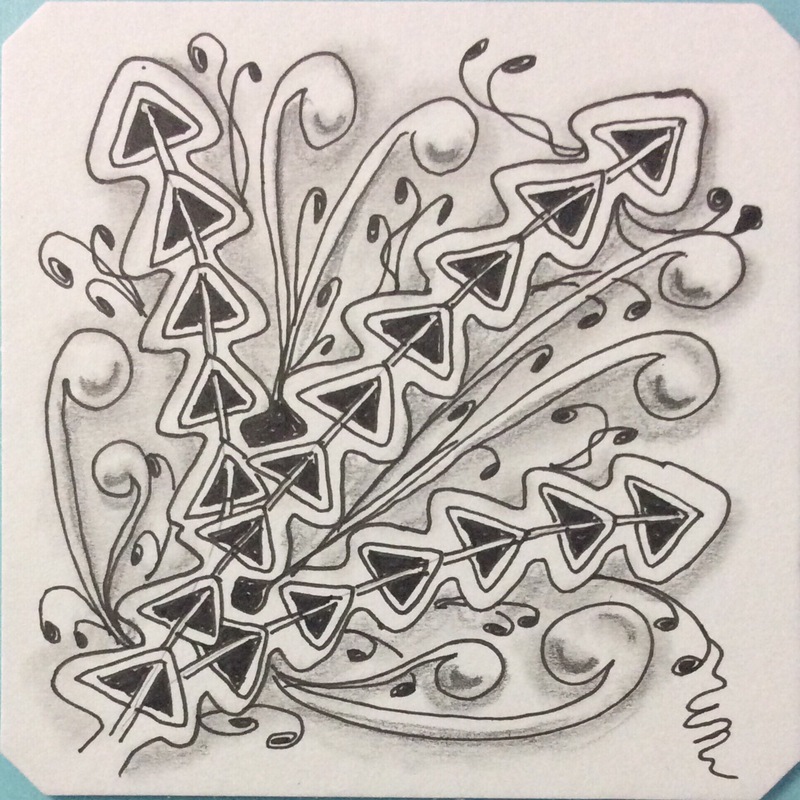 Ten days ago, I talked about being so overwhelmed with so many new tangle patterns being developed and shared. 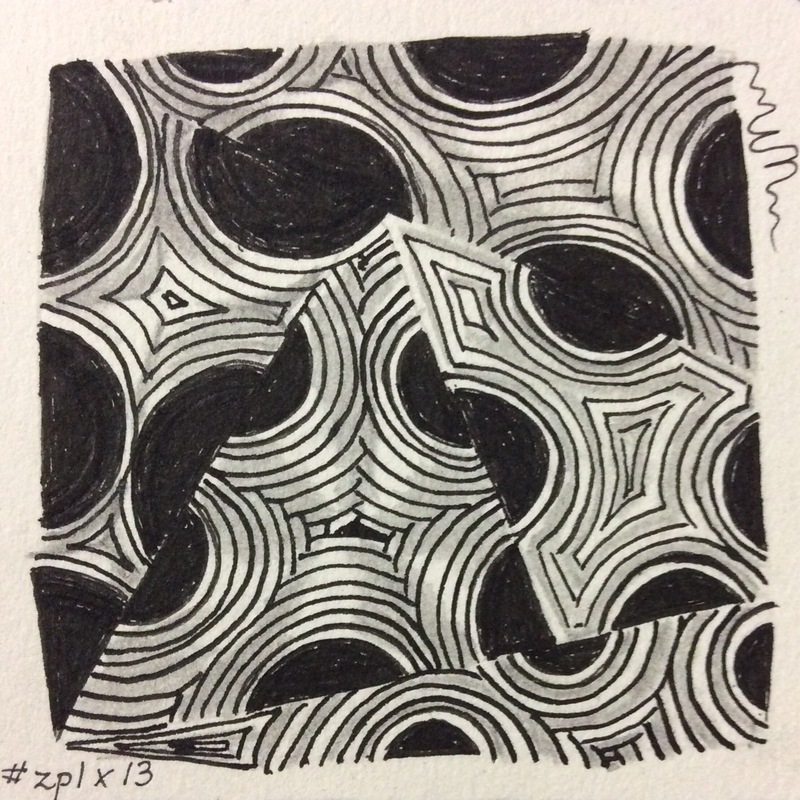 I decided to spend time working on the basics of Zentangle and a more manageable number of patterns. 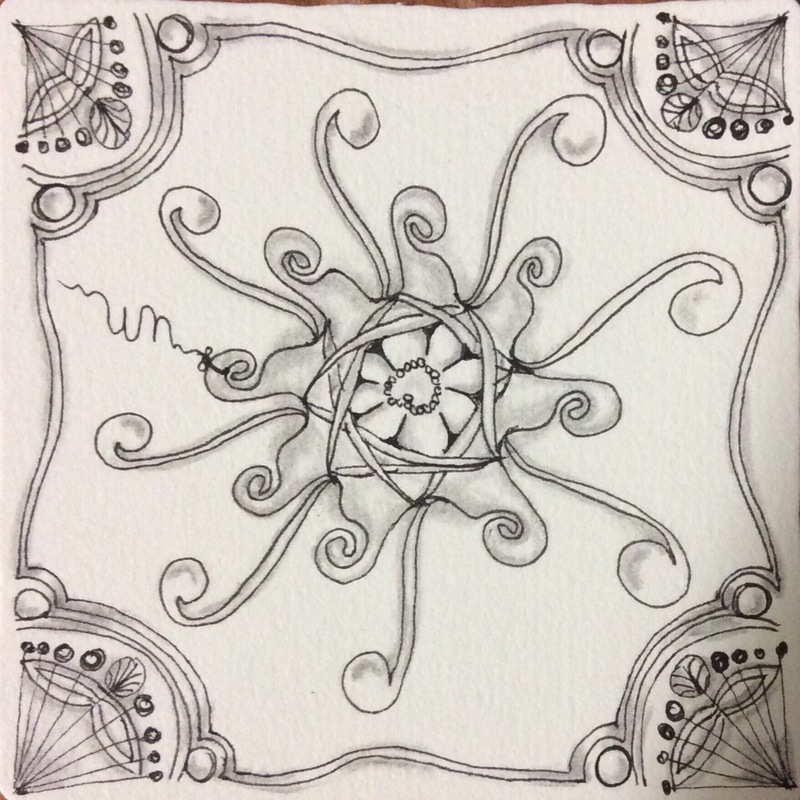 I pulled out my handily shelved Zentangle Primer and started from the beginning, as though learning tangling for the first time. 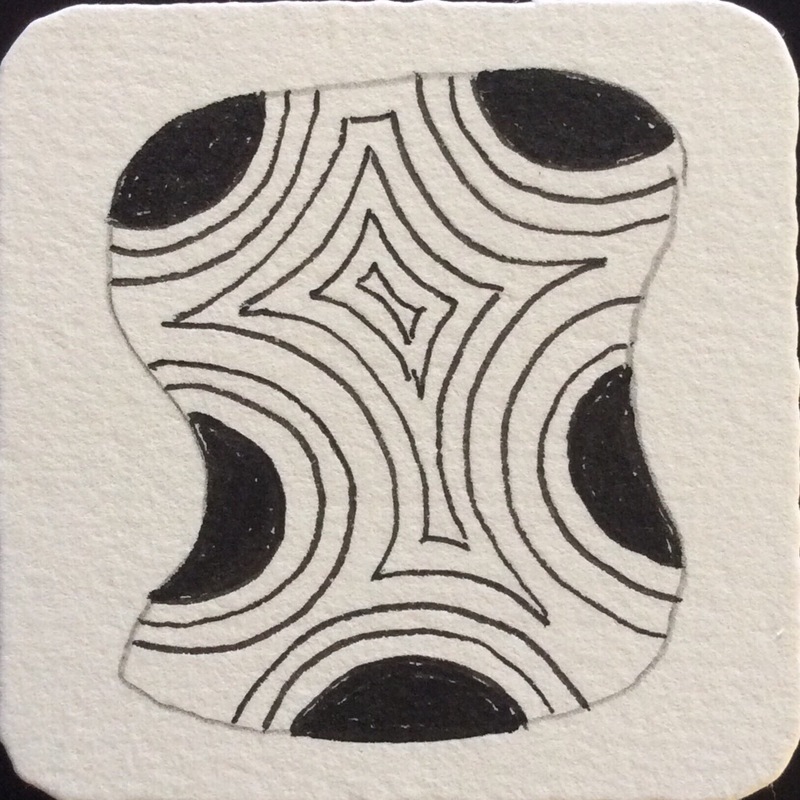 I have shared some of my Back to Basics work here and on the Zentangle Mosaic app, and I have temporarily removed myself from the world of Zentangle challenges (not that I take part in more than two or three!). 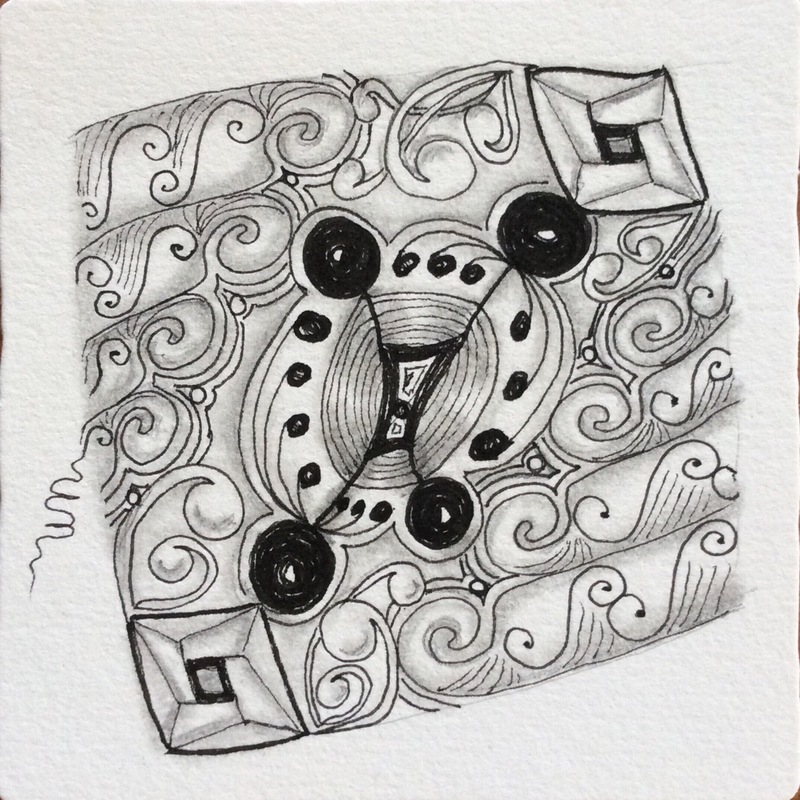 It has been an interesting week of tangling for me, as I draw for the lesson exercises, breaking things up with an occasional meditation with greater complexity. 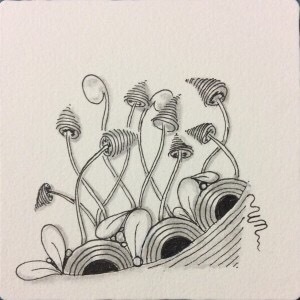 But I continue with the Basics to get my tangling back on track. 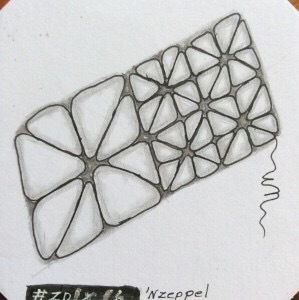 The ‘Nzeppel I shared previously, as I got it almost perfect with input from friends on Mosaic. 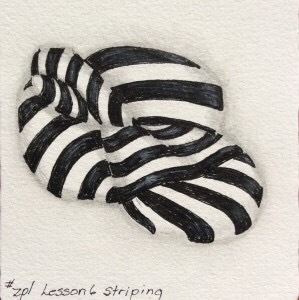 The Striping exercise is the result of a “teaching session” in the Primer. 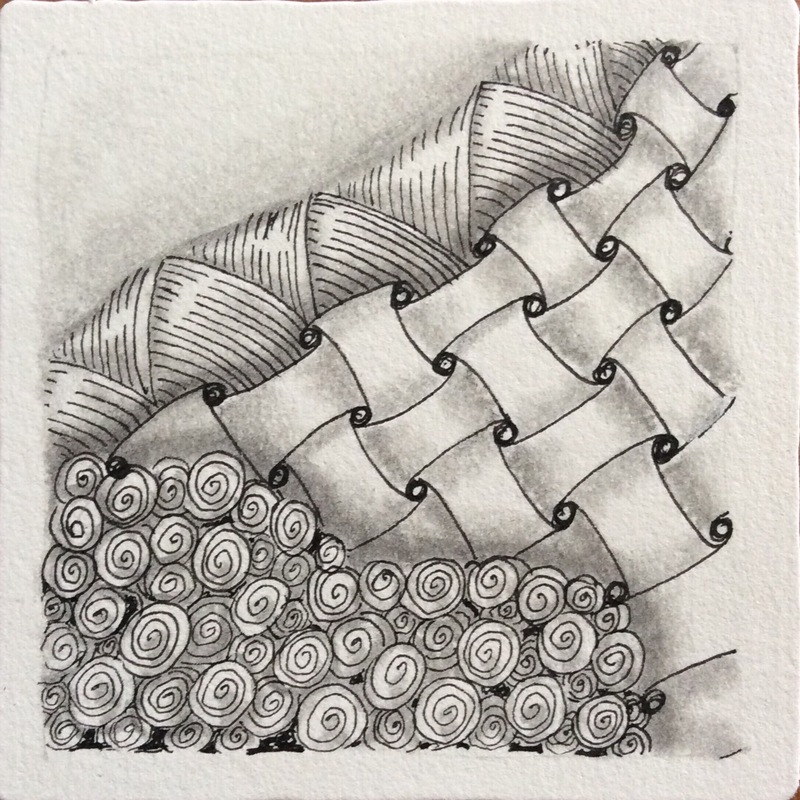 The Crescent Moon tile is the result of an exercise challenging the tangler to shade Crescent Moon in several different ways. 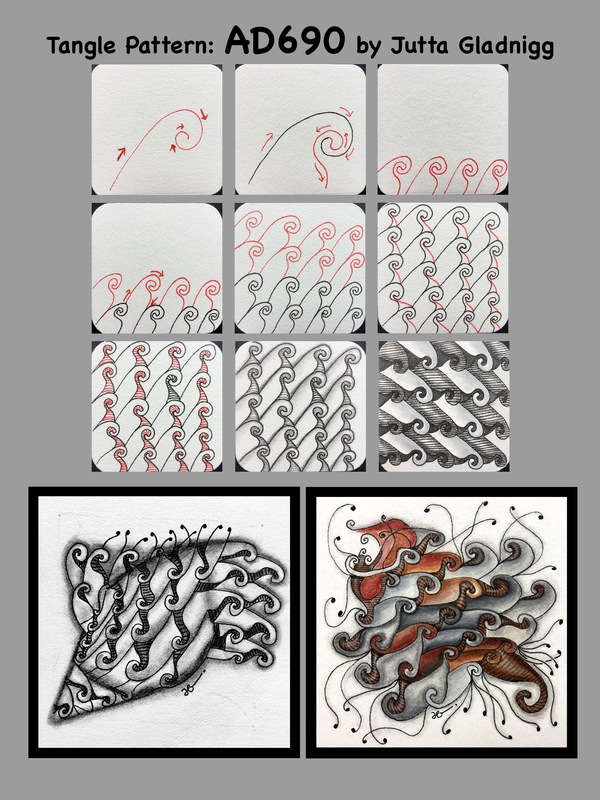 Interestingly, today a T3 (Tangles, Tips, &a Techniques) video was posted on the Mosaic app showing three specific things that could be done with Crescent Moon to make it look different on each tile. 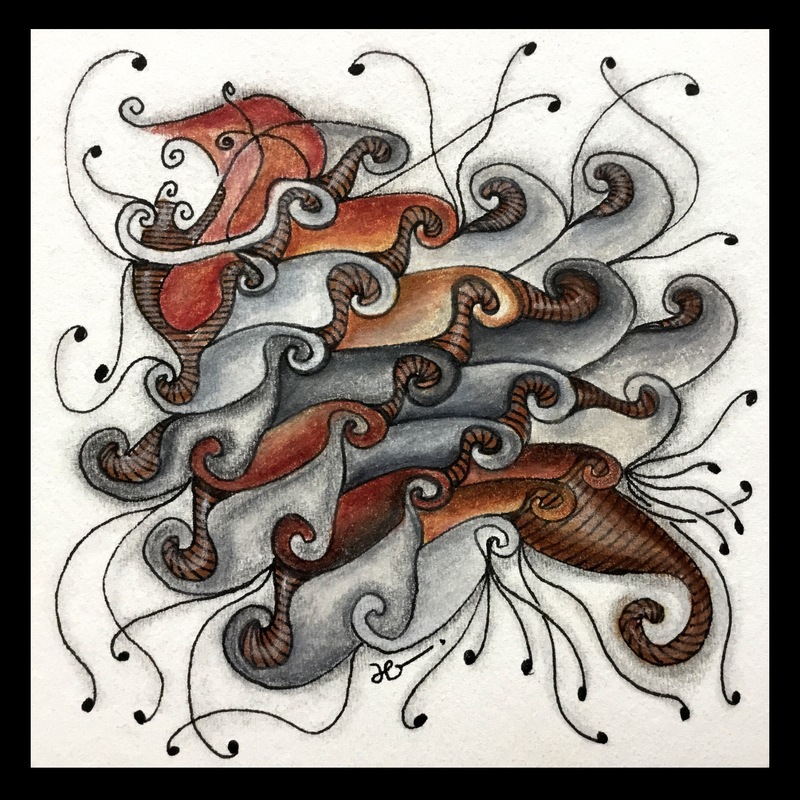 A lot was covered that I had recently completed in my tile, but there was a lot more information that kept me interested and following along. 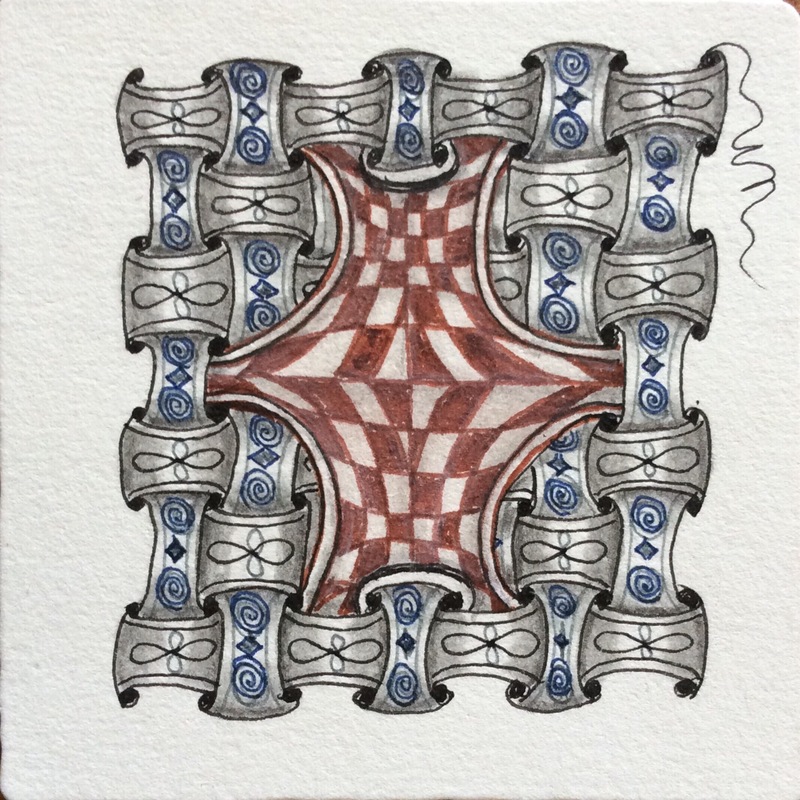 The resulting tiles, each containing only the single pattern, made me realize that I don’t need all those new tangles that are constantly showing up to produce something special. 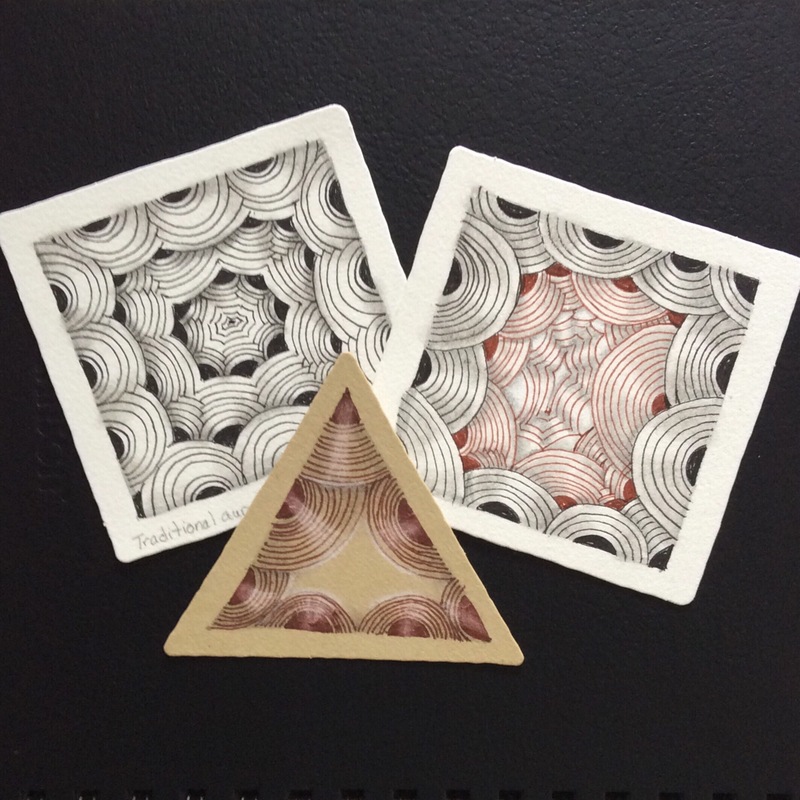 Today I practiced Crescent Moon as monotangles (one pattern tiles) three ways. 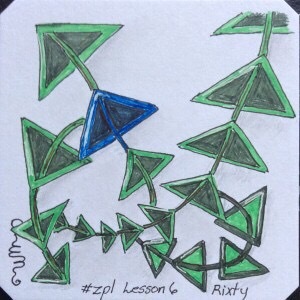 I started practicing a tangle I am not especially fond of–Rixty–but am not ready to share where that pattern is taking me. 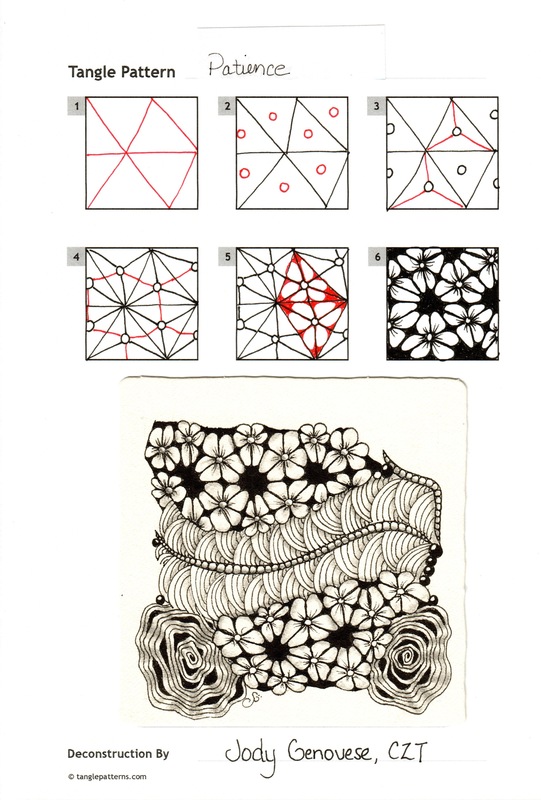 It happens to be the next pattern introduced in Lesson 6 of the Primer. It’s a long chapter and will take some time to complete, even though none of the patterns are completely new to me. After all, this is not my first time through the book. Each time I go through it or check a step-out or seek inspiration, I learn something new or see the pattern from a different perspective. 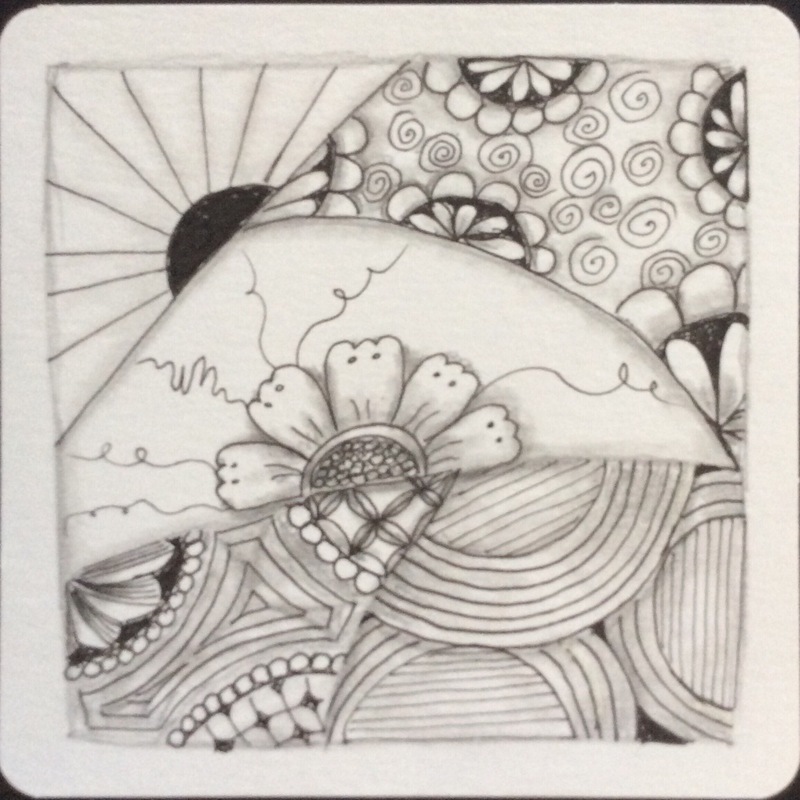 There is so much to learn from practicing the art of Zentangle, not the least of which is meditation and relaxation. 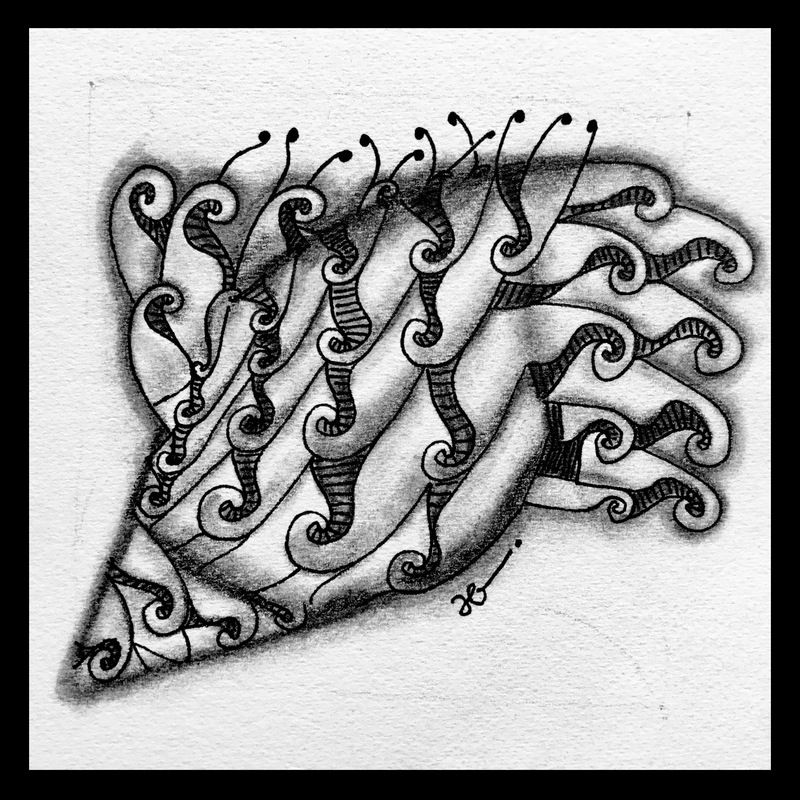 I hope to be tanglingin the physical company of others soon, as I will be attending a certification seminar in late April (2017). 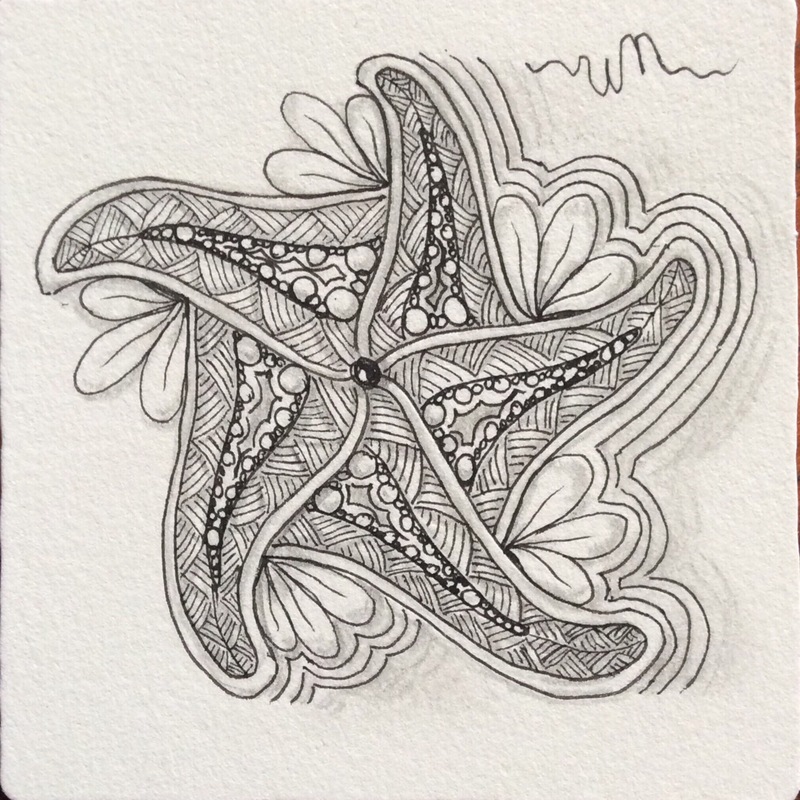 Afterwards, I hope to bring Zentangle, its methods, and its philosophy to people here on Sint Maarten who would find it beneficial to their health and outlook. 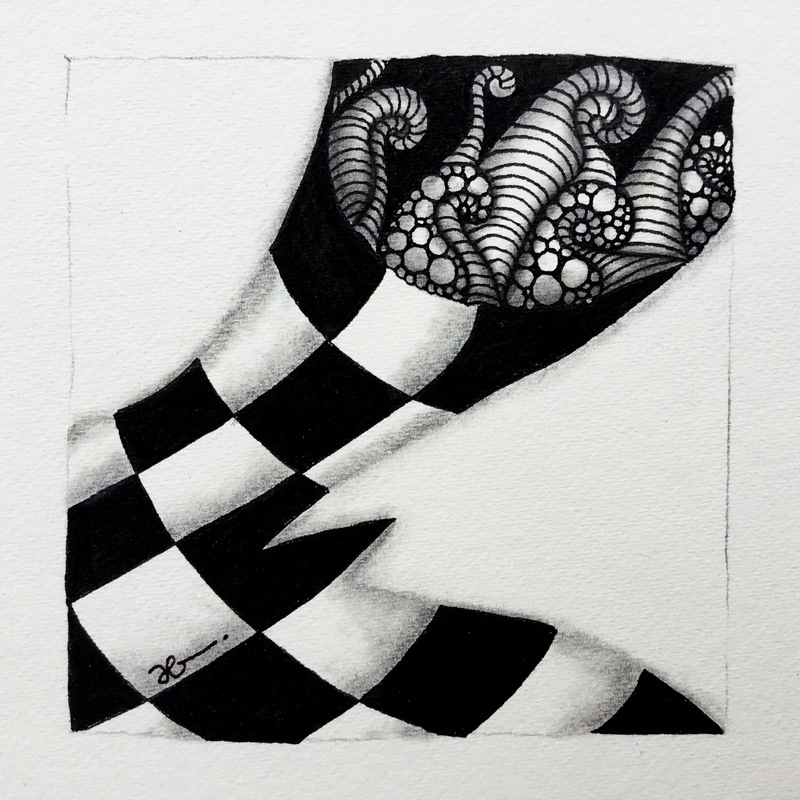 If you are in or near Sint Maarten, join me for a tangling session!